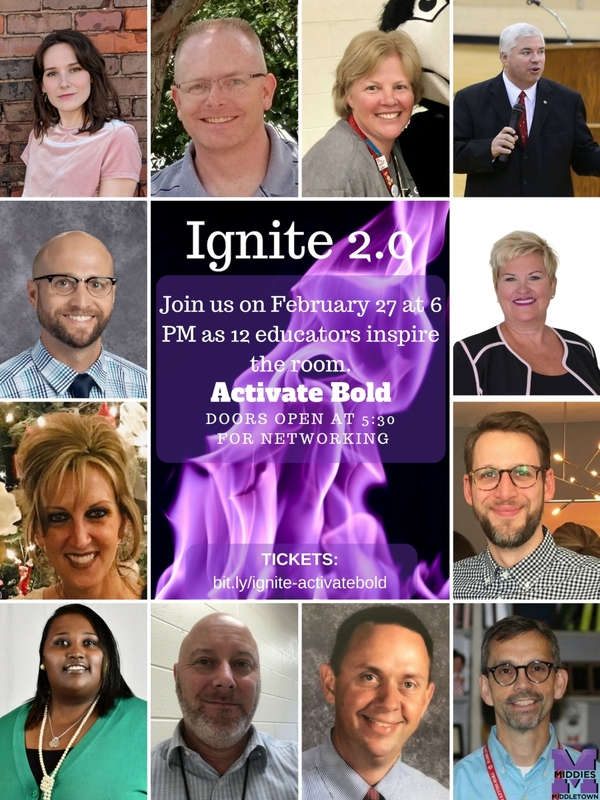 Middletown City School District invites educators and community members from across the SW Ohio region to hear from 12 dynamic speakers! We have tasked the 12 speakers with five minutes to inspire the arena into reimagining how we educate students. In October 2018, speakers asked the question "What If?" 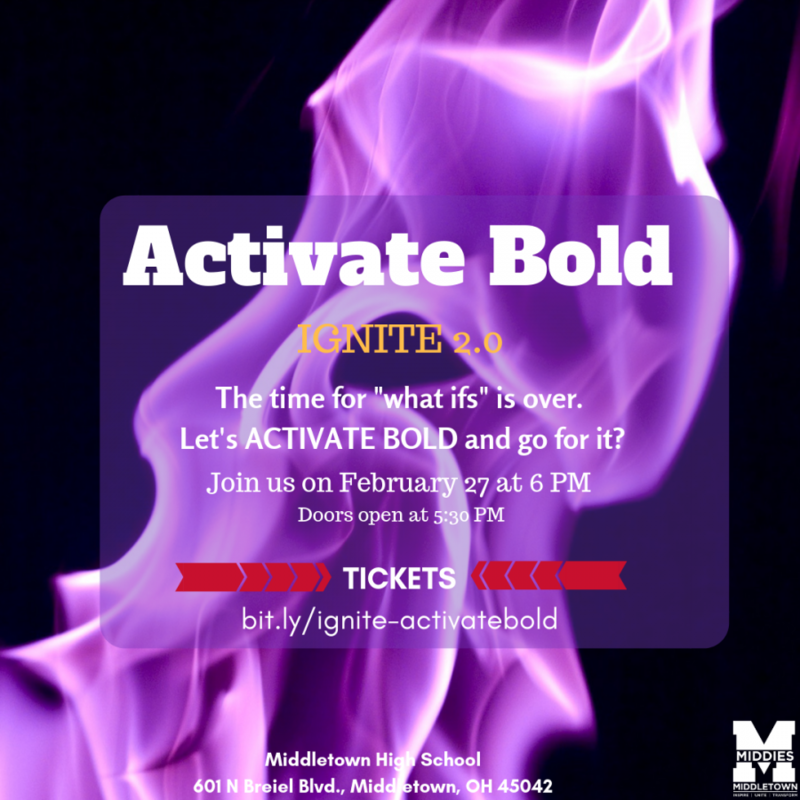 Well, the time for “what ifs” is over and they’ve accepted the challenge to ACTIVATE BOLD! You won’t want to miss this event. Grab your free ticket now!